BRUSH PRAIRIE — The ball was thrown into the end zone, into the fog, with so much on the line in the Class 2A state semifinals. A touchdown right there, early in the fourth quarter, would have put the Hockinson Hawks down by 11 points. An incompletion might have led to a field goal for Liberty instead. For a few seconds, though, hardly anyone knew exactly what resulted from that pass. The fog was just too thick for many on the home sideline to see. So the fans waited. The media waited. The coaches in the press box waited. Out of the fog, Wyatt Jones came running toward the Hockinson sideline, his hand raised in celebration. The official ruled touchback for the Hawks. Jones had intercepted the pass. “It feels good to just know that if I didn’t do what I did, the game could have turned out different,” Jones acknowledged. Oh, it is true that Hockinson is good enough to erase an 11-point fourth-quarter deficit. But it is also true the Hawks did not want to have to do that. It was tough enough trailing by 17 earlier in the game. It was tough enough just to get the go-ahead touchdown as it was. The Hawks would go the 80 yards after the touchback to take the lead, beating Liberty 27-24 at McKenzie Stadium. 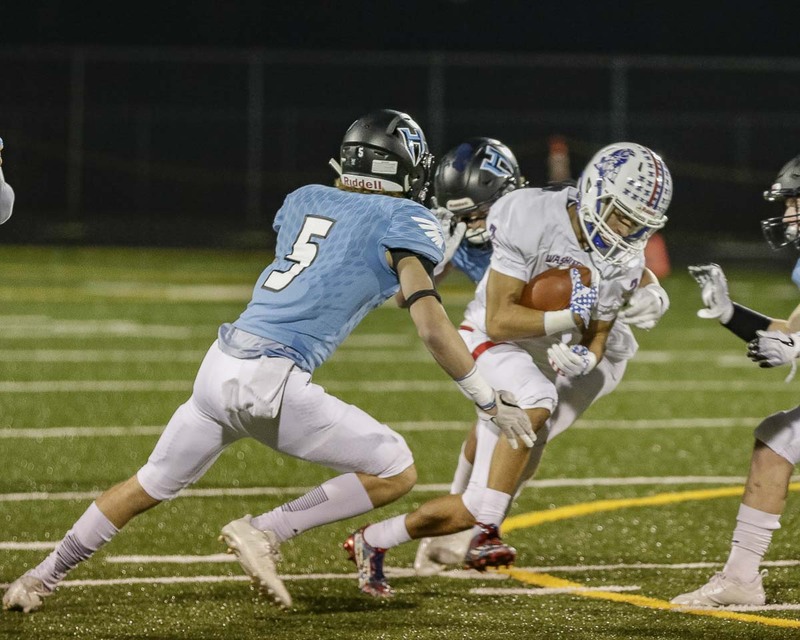 The victory sent Hockinson back to the state championship game. 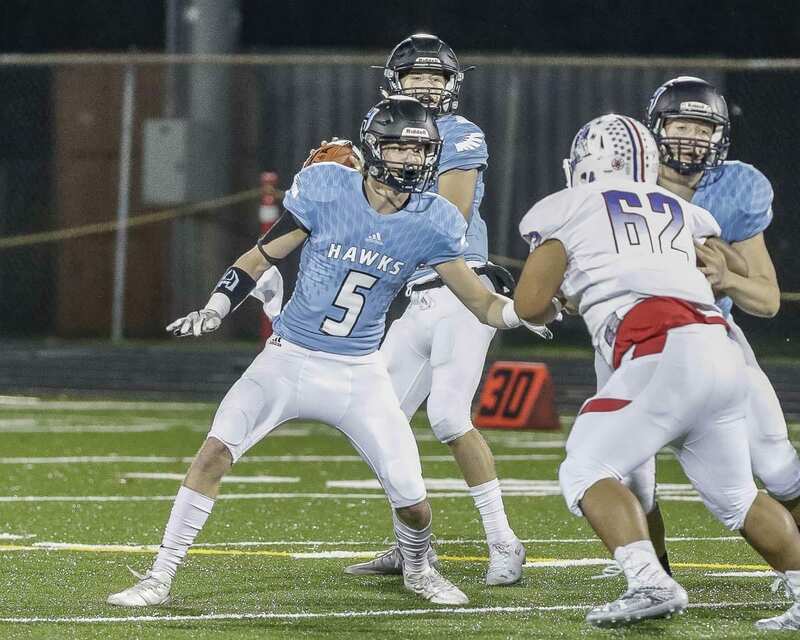 Hockinson will hope to win back-to-back titles when the Hawks face Lynden at 1 p.m. Saturday in the Tacoma Dome. It was important to Jones that his interception — perhaps the biggest defensive play of the season for the Hawks given the circumstances — was done by a senior. The players from the Class of 2019 have been on an incredible run with this football program. As juniors, they helped Hockinson go 14-0 and win the team’s first state title. As seniors, they are now 12-0 this season, hoping to repeat. Yet these seniors also acknowledge they are the class in between the classes. Last year’s seniors, Jones said, was the best class to come out of Hockinson. The biggest names this year are juniors. When Jones secured that interception in the end zone Saturday, he did it for all his teammates. For his classmates. For his coaches. For the community. But in particular, he did it for all of his senior teammates. Still, the Hawks know of the importance of their seniors. The team understands it is the seniors who lead this squad. That interception was a salute to Nikolas Niehaus, Aidan Mallory, Garrett Gundy, Nick Frichtl, Nick Charles, Joseph Brennan, Jon Domingos, Isaac Morley, Bailey Wells, Garrett Kondel, Jacob Oldham, Spencer Lindberg, Liam Heinl, and Ronne Hazen. That’s a good thing, Jones said. “I’ve been known to be reckless with my body. Even though I do get injured, I play past that,” he said. “I never want to be off the field. I always want to be around the game and the lifestyle. It was not just the opponents that Jones and the Hawks had to deal with this season. And this is where the value of seniors really came into play. This team knew it was talented enough to go on another long run. But the chemistry had to be just right, as well. The seniors, led by Jones, preached family. “I knew it was going to be harder than last season. We lost some great leaders. We needed to step it up. We had big shoes to fill,” Jones said. 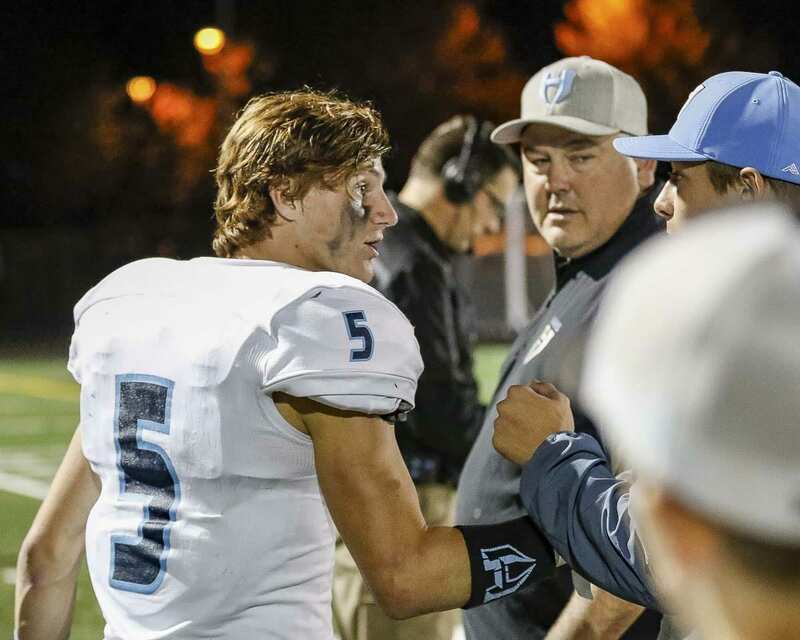 The Hockinson seniors reminded their teammates to stick together because every team out there was going to give their best effort against the champions. The Hawks had to be ready. “Without brotherhood, a team is nothing,” Jones said. This team is something. This team has a shot to become the first back-to-back champion from Clark County. If it happens Saturday, it will be the seniors who will know they have led the way.